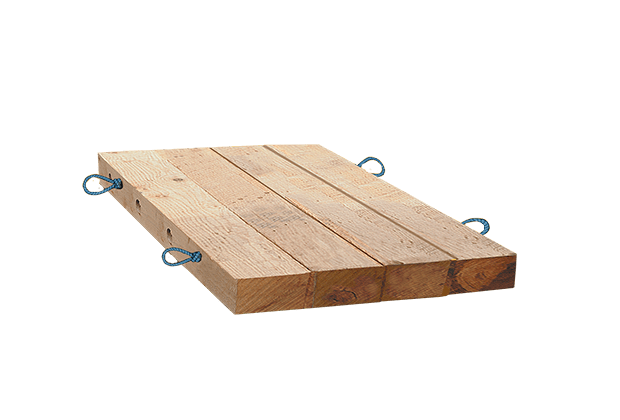 Sterling’s standard-duty outrigger mats are made from dense hardwood timbers and are constructed with flush-cut long bolts and countersunk nuts. Optional cable or rope chokers (manual grips) can be added for easy transport. Available with or without hand grip cables. 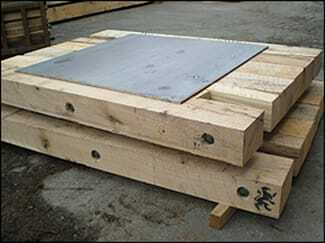 Steel reinforced outrigger mats also available.